Home / Pillow Reviews / Changeable Pillow Types: Which is Best? Not having your head properly supported during the night will usually cause a very unpleasant night’s sleep and may even place strain and stress your neck and back which can cause inflammation, pain and a restless night sleep. That is why it is important to have the perfect pillow. Why are pillows that are adjustable so amazing? The primary purpose of a pillow is to keep the neck and body aligned so you can reduce stress on the muscles around the neck and spine. The more aligned the body and the better your weight is evenly distributed then there are less pressure points and also less need for your muscles to try and hold the spine in alignment. If there are less pressure points then there is less pain and less tossing and turning throughout the night, so you will waken more relaxed and refreshed. So by having your pillow adjusted to the correct position to keep your neck and spine aligned can dramatically improve your sleep and leave you feeling better physically and mentally through-out the entire day. It is ideal to keep your body consistently aligned and maintain a comfortable position in order to get the best night sleep and that is why it is important for you to choose the best pillow for you. Each individual has a pillow that is right for them. But finding the right pillow can be quite difficult. Some pillows are too high and can cause undesired bending of the neck in an upward position. Other pillows may go flat or just be too thin and cause the neck to bend down also in an undesirable position. Neither situation is desirable and can lead to pain, which is the natural enemy of good sleep. So having the perfect balance and comfort in your pillow is very important. That is why adjustable pillows can be so beneficial. The neck and spine are very fragile and susceptible to pain. This is in part because of the many nerves that are encased inside them. There are also many small muscles that are very easily strained around the neck and spine. Putting continual strain on these areas of the body can cause significant pain and discomfort. That is why it is best to always try to keep the neck and spine aligned. When the neck and spine are in the correct alignment the muscles are able to relax fully, which allows your body to sink into a much deeper and restful sleep. You will also find that with greater comfort you will have less need to toss and turn during the night, all allowing you to get the best sleep possible. Adjustable pillows can be set to the perfect height. Having the right adjustable pillow can provide the right amount of lift and comfort. Pillows are usually designed for one sleeping position or the other. Some pillows are designed to accommodate side sleepers or back sleepers. Other more flat pillows are designed for stomach sleepers. The great thing about adjustable pillows is that they can be adjusted to accommodate any sleeping position. This type of pillow is all-in-one. It can be used for all sleeping positions but is only one pillow. Buying an adjustable pillow saves you the hassle of finding the right thickness of pillow that you need to make you comfortable. A typical adjustable pillow will have a zipper which can be opened. Once the pillow is opened, the filling of the pillow can be added or removed. Different adjustable pillows also vary in what is inside. Some have small fillings and others have layers of thin pillows that can be added or removed. One the pillow is set the desired thickened then the pillow is zipped back up and you are ready to go. Other fills that are in pillows like goose or duck down pillows have filling that are difficult to add and remove. Shredded latex can be another fill that can be difficult to mess with. These pillows are usually sealed and non-adjustable. If you want to put the work in and sew in a zipper on one of these types of pillows then you can. You just need to buy extra material if you want to fill it and make it thicker or more firm. This can be a difficult and messy process. If you do not want to sew you own zipper you can buy zip-up pillow cases online at Amazon. There are some adjustable pillows that are not as good as others. Some may look neat but they may not be very practical. Some companies can use deceptive terms in order to entice you into buying their pillows. Layered adjustable pillows can be better than an old flat pillow that has no support. There are some downsides to having a layered pillow though. Layered adjustable pillows are not always ideal. Layered pillows have become increasingly popular in recent years. They look neat and they can be an easy sell for sellers. They offer the adjustability for different types of sleepers and have a nice neat look to them. The pillows have a pillow case that unzips and the removable layers are usually made from synthetic or cotton fibers. You can add and remove layers to make the pillow thicker or thinner to suit your own personal sleep style. It may be better to have a layered pillow than one that is not properly designed for your particular sleeping position. This pillow may help to get the desired height needed in a pillow but there are several disadvantages to having this type of adjustable pillow. By having these multiple layers prevents the pillow from being as comfortable as other adjustable pillows. These separate layers do not allow air to pass as freely as others and also the material is constrained and not able to move and adjust properly to the maximal comfort level. This particular pillow type is not able to mold to the head and reduce pressure points as well as other adjustable pillows. A pillow that can mold to the shape of your head can provide a more comfortable night sleep and this pillow lacks this. Having a down pillow as an alternative is not so good either. Down pillows end up getting really flat and do not provide very good support. You have to keep adjusting a down pillow during the night to keep it from staying flat. A pillow made with bamboo and synthetic material. Really? Many “bamboo pillows” are not what they claim to be. Many of the adjustable pillows on the market today are supposed eco-friendly bamboo pillows. At least that is what these pillows are being sold as. They are trying to make people think these pillows are a nice natural eco-friendly pillow and that is usually not the case. Many of these so called “bamboo pillows” are made of potentially toxic synthetic material, some of which is derived from bamboo. 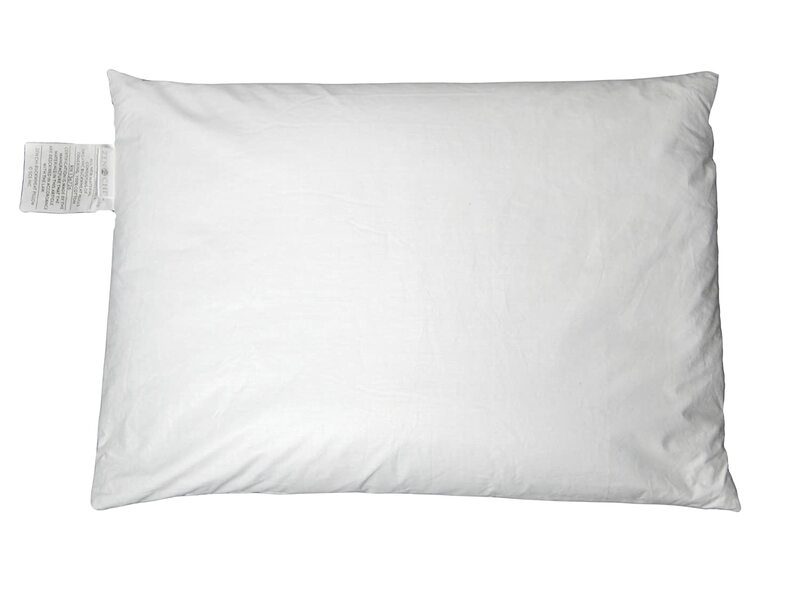 Many of these pillows contain memory foam which usually have chemicals in them that are not so eco-friendly. The pillow cases are many times not actually bamboo, but a chemically altered form of bamboo, which is called visco. This material is cheap to make and is very smooth and shiny. These pillows can have a very appealing look and feel. Some consumers may find them attractive pillows to buy. If you choose to buy such pillows just be aware of the fact that invoking the word “bamboo” in the name of the pillow or the pillow case is in many cases a sales ploy. The reason many manufactures go out of their way to advertise their pillow with the word “bamboo” on it is to make you feel like you are buying a product that is organic, natural, and eco-friendly. In many cases it is not the reality. Visco is manufactured by undergoing a process which involves a toxic chemical like carbon disulphide. In order to make bamboo into viscos it goes through a process which emits toxins into the air. Many major retailers have been warned by the Federal Trade Commission about using such ploys in order to sell their products. Calling their pillow “bamboo pillow” is misleading and is not a natural, healthy, and eco-friendly product that it is made out to be. So if you see pillows advertise as “bamboo” then make sure the pillow is actually made of bamboo and not of visco. 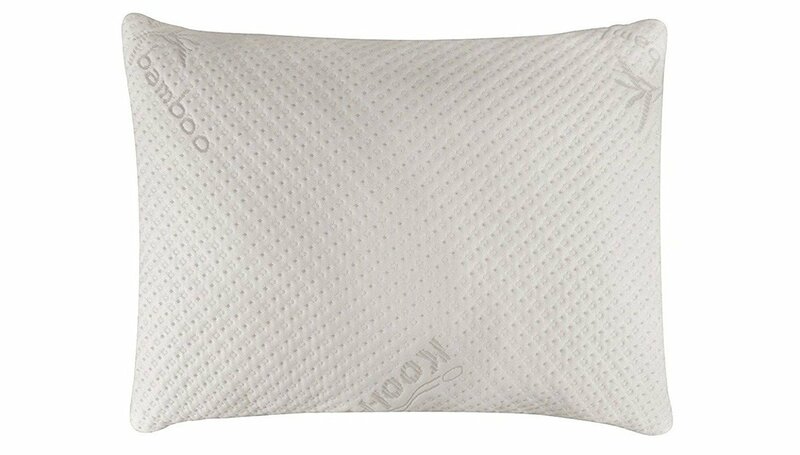 The adjustable and amazingly supportive buckwheat pillow is extremely comfortable and breathable. If you are looking for a pillow that is actually organic, natural, and a healthy alternative that is extremely comfortable then look no further. The buckwheat pillow is by far the best adjustable pillow on the market today. This pillow has not gotten much recognition because it is not as widely advertised as the other more mainstream pillows that are available. Many of the pillows that are advertised are made of synthetic materials and involve lots of potentially harmful chemicals. The Buckwheat pillow has been around for centuries but many companies do not sell this all natural amazing pillow because they cannot patent a natural product. So as profits go, it is more profitable for many companies to make pillows that they can patent or make at a cheaper cost than natural pillows. Then only they can sell that particular pillow. Everyone should try a buckwheat pillow and see if it is the right pillow for them. An amazingly comfortable pillow filled with real buckwheat. There are many other benefits to using a buckwheat pillow. They even help with noise reduction. This pillow is really an absolutely amazing pillow and everyone should give it a try. You can check out the reviews online about how wonderful this pillow really is. If you are not satisfied with an adjustable buckwheat pillow then here are a few other pillows you may want to try out. Give an Adjustable Pillow a Try! Adjustable pillows have much more versatility than other pillows but the best thing to do is to try the pillows out. Try sleeping on a pillow to see how well it fits your personal need. Each individual has different body shapes, different beds, and therefore different needs and different comfort zones. When looking to buy your next pillow look for sellers that offer a good return policy. If a company guarantees their pillow or has a good return policy then that is probably a good indicator that they are selling a high quality product. So much of your life (one third of it in fact!) is spent sleeping so it is worth the time and effort to find the perfect pillow for you. A perfect pillow will not only give you a great night sleep but also leave you feeling energized and more alert throughout your day. Make the right choice. It is worth it!